This case was designed for the University of Georgia football program. 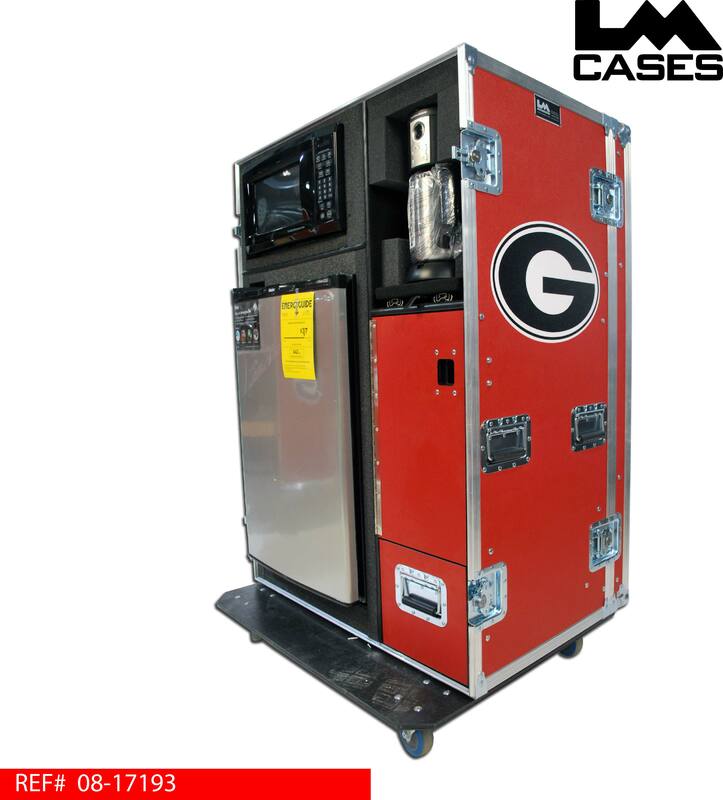 The case features a refrigerator and microwave as well as a coffee pot mounted on to a slide out shelf, the coffee pot also comes standard with 2 stainless steel travel mugs. For storage, the case features 2 shelves covered with a latched door as well as an extra deep drawer. 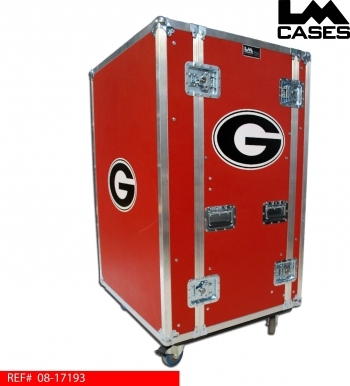 There are also table legs mounted in each of the cases two removable lids. The exterior of the case is built out of 3/8" plywood laminated with Red ABS plastic, and features 2 color logos of the schools "G" logo. Special thanks to Kevin Purvis and the UGA football staff!